Walmart announced on Wednesday that it will buy a majority stake in India’s Flipkart e-commerce company, setting off a new chapter in its rivalry with Amazon, which has identified the world’s second-most populous country as the emerging international market of the future that it must win. Walmart will pay $16 billion for a 77 percent stake in the company and says it will support Flipkart’s goal of eventually going public as a majority-owned subsidiary. Some Flipkart investors including co-founder Binny Bansal, Tencent and Tiger Global will continue to hold stakes in the company. In its most recent fiscal year, Flipkart net sales grew more than 50 percent to $4.6 billion, but the company registers heavy losses as it battles Amazon for supremacy in the fast-growing e-commerce market. If the deal were to close in the second quarter, Walmart said its earnings per share would be negatively impacted by 25 cents to 30 cents. Walmart expects that negative impact to grow to around 60 cents per share in the next fiscal year as it ramps up investment in the company. 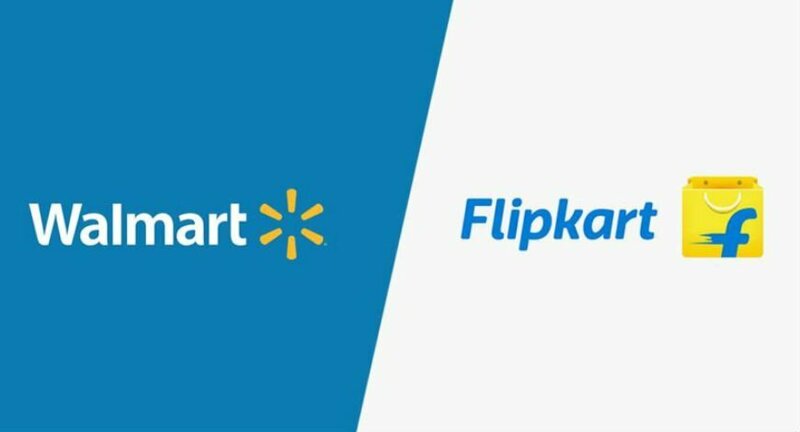 With the investment, Flipkart will leverage Walmart’s omni-channel retail expertise, grocery and general merchandise supply-chain knowledge and financial strength, while Flipkart’s talent, technology, customer insights and agile and innovative culture will benefit Walmart in India and across the globe, Walmart said in a release. Flipkart was founded in 2007 and for many years was the leaders in India’s small but fast-growing e-commerce market, raising north of $7 billion in total to fund its growth. But Amazon’s entry into the country in 2013 has led to a fierce, cash-burning fight to become the dominant player in India. Amazon has publicized investments of more than $5 billion into its India business as it supplants China as its most important long-term international market. Amazon has said that more people joined Amazon Prime in India in its first year of availability there than in any other new Prime-eligible country. 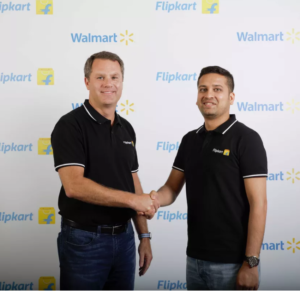 Between the Flipkart and Jet.com acquisitions, Walmart has now agreed to pay more than $19 billion combined for unprofitable businesses in order to become more competitive in online commerce in the U.S. and India. That’s the price the giant brick-and-mortar retailer must play for treating online sales as a side hobby for so long. Walmart’s stock was down 4 percent in morning trading. Today digital technologies are essential parts of successful businesses, it is not more digital technology as the side kick in the business world, it’s now digital technology as the core, the heart of the business. It shows how much the digital world has changed the business side of things. We found this internal slide from IBM from a presentation about entrepreneurship, the slide mentions some examples of how digital disruption has already happened and will continue happening changing the way business interact with customers and each other. So tell us what do you think about digital disruption? Everyone says they want to make the world a safer place; we actually. We present an abbreviated update from one of the founders, Marc Rippen?on an Orlando business. ..What has driven Quantum Dielectrics to target the cold storage market is our understanding that there is a need for?better granularity for temperature sensor tracking and?logging of products as they are transported from field to?store. ?We also?believe that there is?an additional?need to monitor specific compounds such as Ethylene, Oxygen, Carbon Dioxide, Water Vapor and other analytes of interest. ?We believe that due to cost and contamination issues,?present technologies are not practical for cartoon level monitoring. We offer a viable solution to this challenge making this a very innovative business in Orlando. We have a patent on the gain enabled field effect transistor technology; this is what we will be applying on the gas/temperature sensor side of things. We demonstrated this technology at the conceptual design level and had the technology validation /?vetting?done by Dr. Scott Thompson who holds the INTEL chair at the UF college of engineering, EE department?who did a lot of work while at?Intel in developing their Field Effect Transistor technologies. For cold storage, we propose to?use this technology to enable a printable organic based? ?sensor chip? that is very inexpensive to produce. This makes it possible to monitor things economically at the cartoon level or even at the product level. ?We have a ?3d metamaterial printing patent, this enables us to print inexpensive antenna, sensor elements,?and other electronic components. We have?actually printed prototype antenna elements using a standard commercial 3D printer. We would use some other printing technologies in addition as needed for various components of our system. Another critical piece of technology is our RF communications protocol and system, that allows for us to simultaneously and discreetly monitor each sensor in real time. We have filed for a patent on that as well to be a patented business in Orlando.